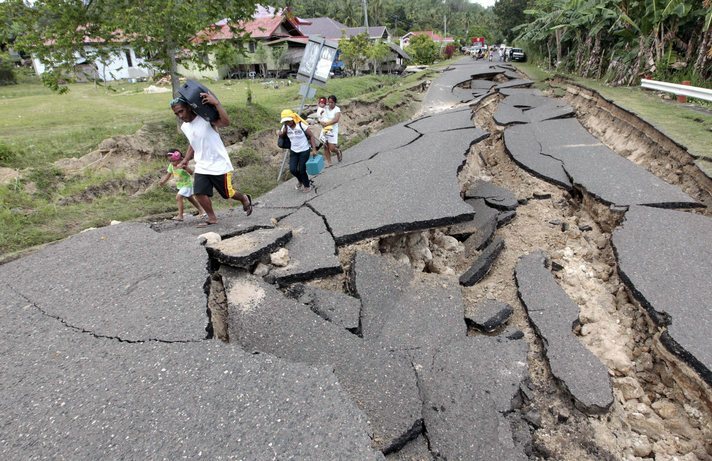 Being in the Pacific Ring of Fire, the Philippines is one of those countries prone to earthquakes. Just as recent as a few weeks ago, Mindanao was struck by a magniture 6.9 earthquake that occurred in the middle of the night off the coast of Negros Oriental. Many families were made homeless when their houses collapsed. Landslides triggered by the earthquake buried houses and people. An estimated 105 people died. Severe earthquakes are feared by everyone for being extremely destructive. My awareness of earthquakes occurred for the first time ever on July 16, 1990 when a magnitude 7.8 quake hit Central Luzon. It was 4:30 in the afternoon in Naic, Cavite and I was on my way home from school. I was in Grade 4 (elementary school) that time. As I stepped out of the school gate and passed the Catholic Church just beside it, the ground started shaking. I have never felt anything like it before so I was surprised and worried at the same time. I recall feeling slightly dizzy while I watched my surroundings and the people around me. I didn’t know how to react so I just stood where I was. Some of my female schoolmates cried in fear. I was probably lucky that I was not near any tall structure when the earthquake occurred. I saw from a distance the cross on top of the church shaking. I was afraid it was going to fall off but fortunately it didn’t. Later at home, I found out more about what happened. The television set was on and news reports were all about the earthquake. I saw videos and pictures of the extent of the damage. Buildings and houses collapsed. People were buried beneath the rubbles. Rescuers were racing against time to dig out victims. It was grotesque, alarming and really sad. This type of events ought to be great reminders to people. If there’s anything to learn from this experience, it is that we need to know more about how to be prepared because our lives could depend on it. But since severe earthquakes do not occur that often, people tend to forget what they should have already learned from experience. Government programs on readiness are only active in the immediate aftermath of an earthquake. They orchestrate earthquake drills, inspect buildings, advise people in high risk areas and report about all of these activities to show they’re doing something. But as time goes on everyone tends to become complacent. When I saw the news about the Negros earthquake, I was reminded how important it is to be prepared as much as possible. If you have not given these things some thought and you live in a country around the Pacific Ring of Fire, I suggest you consider the Seven Steps to Earthquake Safety from Earthquake Country Alliance. 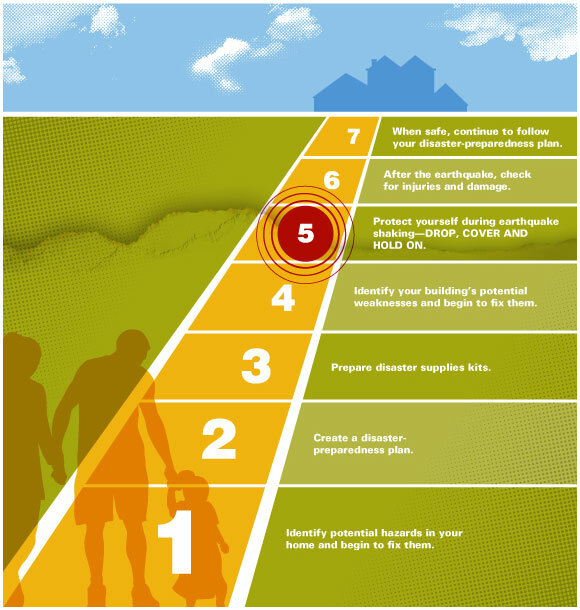 These seven steps are designed to help us prepare for an earthquake, survive when it happens and recover from its effects. The poster below gives a glimpse of what the seven steps are. But in order to know more about the details, you should go to their website. Learn more and apply what you’ll know as soon as you can. For Filipinos like me, we are reminded once again how much a strong earthquake can have disastrous effects in the Philippines. Doing everything we can to be ready is not an option, it is a must!